English was not a language familiar to Armando Rodriguez when he first entered the United States as a youngster. Nevertheless, his parents stressed the value of education and encouraged him to never give up. As a result Armando Rodriguez became fluent in English, moving on to achieve an outstanding list of accomplishments. While serving as a Private First Class in the U.S. Army's Signal Corps, Rodriguez honed his leadership skills learning to cipher and decipher codes. Stationed in Brazil during World War II, he managed a messaging center relaying valuable information to troops in North Africa and Europe. Shortly after leaving the military, Rodriguez applied for the GI Bill and admission to San Diego State College (now University). He joined the Aztec Football team as a varsity running guard and later coached the SDSC wrestling team holding a four year undefeated record. Additionally, his team went onto CCAA championships and several athletes to the Olympic trials.
" Athletics were important to me-and still are - but the most important mission at SDSC was getting an education. Athletics only last as long as one's athletic ability holds out; the benefits of education will last a lifetime." 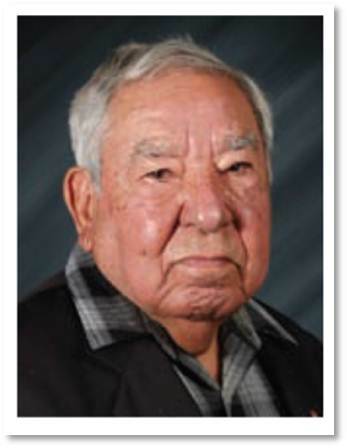 He graduated from SDSU in 1949 and started teaching at Memorial Junior High School in San Diego. His strong commitment to education led Armando Rodriguez to pursue a doctoral degree. In addition to being the firs Hispanic principal of a junior and senior high school in San Diego, he is recognized as a national leader developing the field of bilingual education. Serving as the second Latino president of college in California, Rodriguez left his position as president of East Los Angeles College in 1978, to accept an appointment from U.S. President Jimmy Carter as Commissioner of the Equal Employment Opportunity Commission. Proudly serving in positions for four differnent presidential administrations, Armando Rodrigues values education, the country, and the community. "Decide in life what you want to do and do it to the best of your ability; always accompanied by being happy... and why you're happy, you make other people happy." Learn more about Armando Rodriguez in his book From the Barrio to Washington: An Educator's Journey.